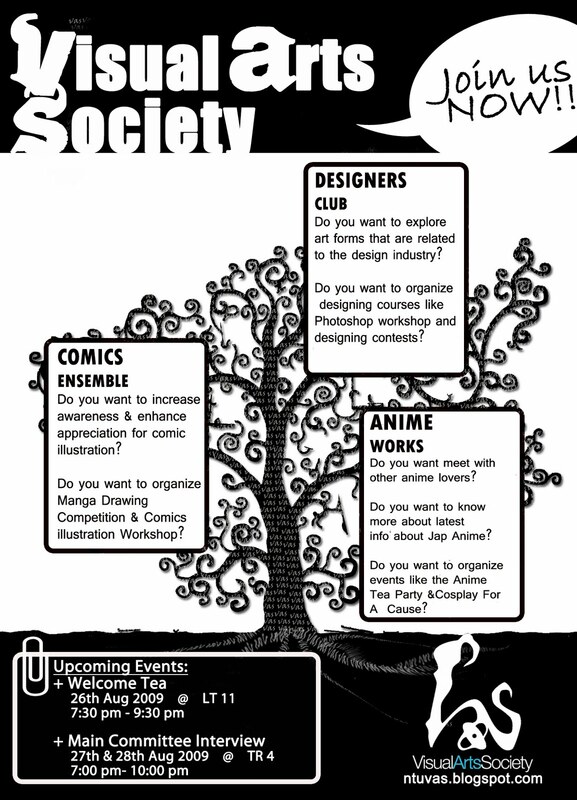 To be a part of our club, you can either join us as a regular Visual Arts Society member, or as a Subcommittee member of the various subclubs (Animeworks, Comics Ensemble & Designer’s Club) or departments (Publicity, Logistics & Business Management). As a Regular member of the Visual Arts Society, you get to enjoy discounts on the various activities that the club organizes as well as our club’s affiliates (Check out the VAS website for more details and updates) . As a Subcommittee Member of Animeworks, not only to you enjoy the same benefits as a regular member, but you can help us in the managing of our subclub, including planning and initiating the various activities that the subclub organizes or takes part in. Most importantly of all, meet others who also share an interest in animation, working or just hanging out together with them, through it all making some new friends and buddies! Click for the Membership Form! Alternatively, send us an e-mail using any of the addresses at our “Contact Us” page. Do take note that membership is only open to existing Nanyang Technological University and NIE Students and is $2 per year. We hope to see you joining us soon!